A spot cooler isn’t just a temporary fix for data centers. 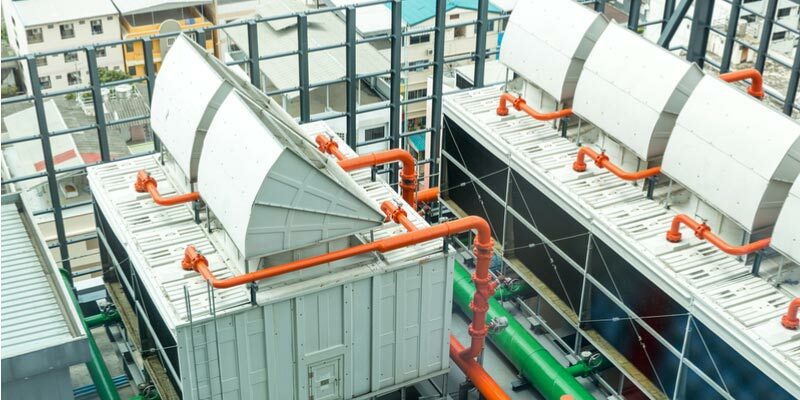 Even if your data center is attached to the building’s central AC system, spot coolers offer a lot of long-term benefits and can be used on a regular basis. Data center rooms are notorious for overheating. When temperatures creep up too high, equipment is at risk of breaking down or malfunctioning, at which point you could lose crucial data. You don’t want to wait until after your AC unit stops working and your data center room is flashing temperature warning lights to decide you need a backup spot cooler. At this point, damages may already exist. Data centers are incredibly prone to overheating. As businesses strive to save more space, data center rooms get smaller and more heavily packed, leading to additional cooling complications. If the power goes out, or your central AC breaks down, it’s only a matter of time before the data center room overheats. An automatic portable AC unit can be hooked up to your system, automatically turning on when the power goes off or the central AC system stops working. This is especially beneficial because data center rooms are often added as an afterthought, and therefore don’t have the appropriate permanent cooling measures installed. Even if there is a central AC system in place, primary cooling systems are more prone to periodic down-time, long-term power outages, and other issues related to failure or breakdown. Spot coolers are less likely to malfunction and easier to fix when they do, offering money-saving security for your data center room. A portable spot cooler can be custom-set to the right temperature for your data center room. If your data center room relies on the same central AC as the whole office, you risk freezing the office to keep the data room at a safe temperature. You’ll spend more money operating this way as opposed to using a separate spot cooler for the data room. During Florida’s hot summer months, businesses often rent spot coolers that run continuously in data center rooms to help beat the heat. When it’s too hot outside, your central AC can’t keep data rooms cool enough—unless you want to send the rest of your building into a cold frost. Many local businesses rent spot coolers from us in the summer. This is an affordable way to always have the latest spot cooler without worrying about upgrades or maintenance costs. It’s not “if” but rather “when” a power outage or broken central AC is going to put a damper in your day. It doesn’t have to ruin your day though, if you have the right backup measures in place. Anything from an overloaded grid on a hot summer day to a hurricane can cause the power to go out, leaving your business powerless… and your data center room uncooled and incredibly hot. Even if you have a backup generator in place, how are you going to ensure your data room remains protected from additional heat? A portable spot cooler can keep things cool, calm and collected—no matter what. Central AC units can break down or require maintenance at any time, at which point a portable spot cooler is incredibly valuable. While your AC undergoes maintenance or repairs, you can rest assured that your data center remains safely cooled and out of danger. A portable spot cooler is the best way to keep your servers and data room safe during periods of planned high heat. For instance, if you are transferring a load form one server cluster to another during maintenance. A spot cooler helps maintain an ideal temperature, reducing the risk of damages or lost data. The fewer components an AC unit has, the less chance it’ll break down. Complicated and costly built-in precision cooling or split systems are more likely to malfunction than a spot cooler—plus, they cost a lot more. Even with advanced central AC, a spot cooler is still recommended in case of failure.